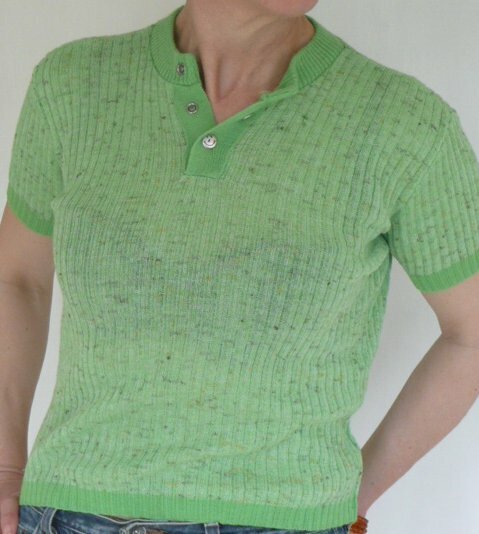 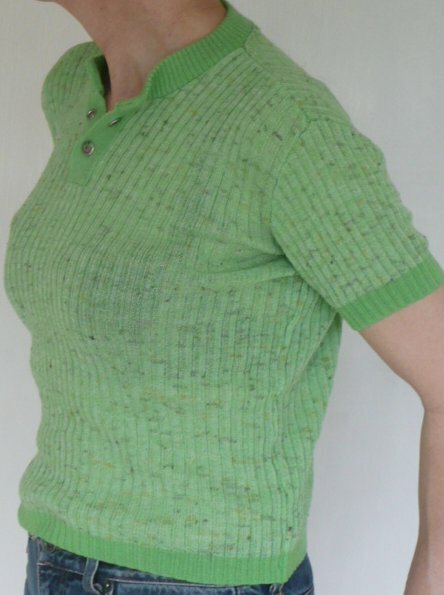 Vintage 1970s lime green knitted rib top. 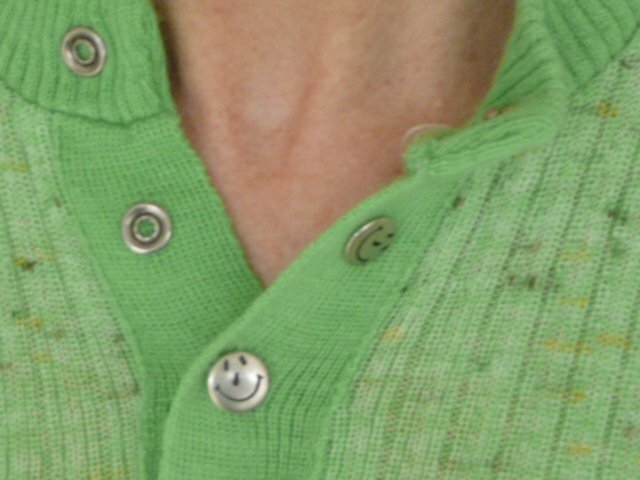 Lovely 1970s polo-style top knitted in a skinny-rib pattern, fastening at the neck with smiley-faced poppas. 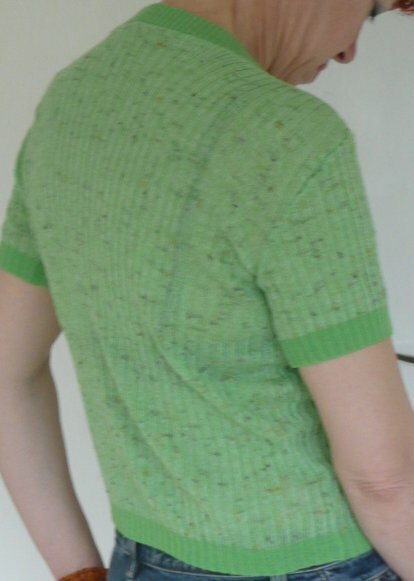 The main colour is vibrant lime green, with tweedy flecks of charcoal grey and yellow; the sleeves and welt are in plain green. 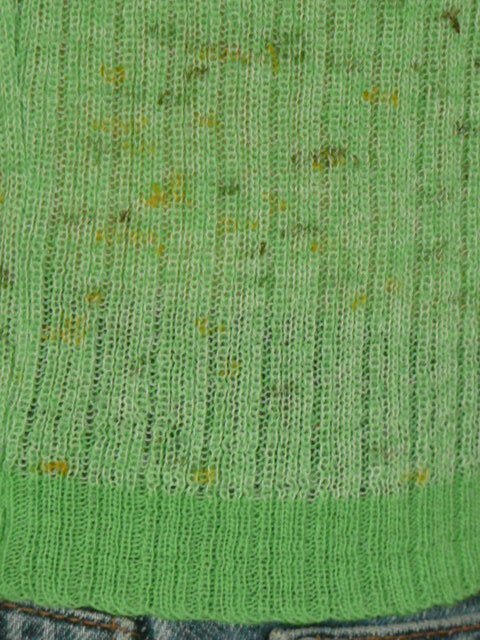 Although showing signs of wear, it is, as you can see, very much in wearable condition: there's still life in this lovely item yet! 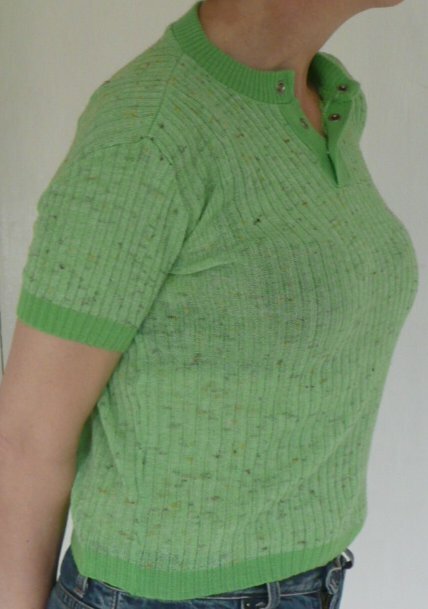 Approximate measurements are, bust 42 ins/107 cms, length from back of neck 19 ½ ins/50 cms.